Reaching soon is so easy to use, even our parent's generation can use it without difficulty! "How is it different from Life360?" We are far far better! At enabling people share their location with family and friends. Quickly. All people. Even the smartphone-newbies. Not just the tech savvy ones. Q. What expectations do people have from a location sharing app? First and foremost, they want to let anxious family or friends know where they are, and when they would arrive. And the results will surprise you! Glympse let's you share your location with friends/family and they can track you on a browser or the app if they have it. You can also request location from them, but they need to have Glympse app installed on their mobile in order to share. Every session is time-limited, and location sharing stops after a time period which you choose. This is great, because you aren't tracked all day long! The hiccup - Sharing a trip with friends/family is very complex. Every time. It involves many clicks, and is not at all intuitive. Even after doing it a few times, it was not easy to get used to it. Life360 is meant for family members to track each other, mostly on a continuous basis. You create a family group, and every member of the group shares his/her location with every other member. Everyone in your group necessarily needs to have the app installed on their phones. Getting started with Life360 was tiresome. You need to create an account, sign in, add people to a circle, wait for them to reciprocate, add places, etc. Many decisions and actions have to be taken before you can actually start sharing location. In short, too much to do for just sharing the location. Further, the location sharing is permanent, which is something not everyone wants. Yes, you can pause location sharing when you wish to, but then that defeats the purpose of having the app in the first place. Google+ app has a location sharing component to it. To open it, choose "Locations" on the pull-down menu on the left side. Sharing location with Google+ is extremely difficult. You need to add people to a Google+ circle, and then share location with that circle. Having done that, you end up sharing the location almost permanently, because stopping that is another difficult activity. With Reaching Soon, we have made a conscious effort to keep it simple. All you need to do, is invite a family/friend to join your trip - you do this by sending them a link to the trip, using WhatsApp, SMS or email. And you are set! 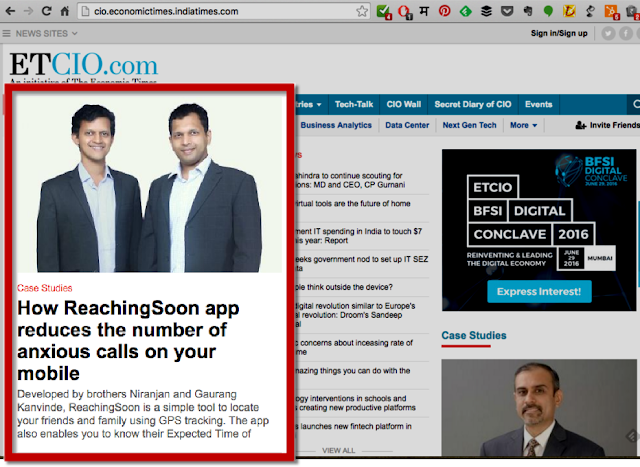 When they click on the link, the trip opens in a browser, or the Reaching Soon app, if they have it. And the trip ends and location sharing stops automatically when all of you reach the destination. No need to even choose an expiry time. 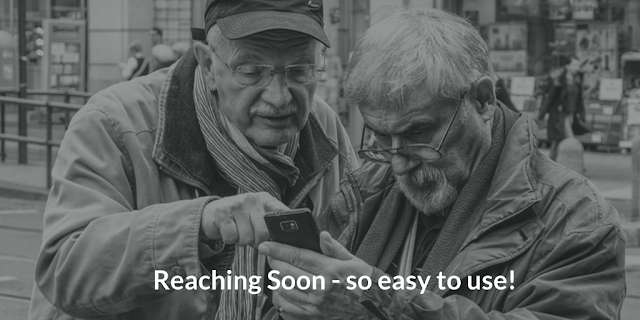 Reaching Soon is designed to make life simpler for you - fewer clicks, fewer decisions to make. You just open the app, and you are ready to let your loved ones know where you are, and when you will reach.